Australia's second largest salty-snacks maker Snack Brands Australia has been swallowed up by Philippines food company Universal Robina, delivering a big pay-day for a group of investors who bought the business from Arnott's for a song eight years ago. Universal Robina has agreed to pay $600 million for Snack Brands Australia and plans to take its key brands, which include Kettle Chips, CCs, Samboy, Cheezels and French Fries, into Asia, capitalising on growing demand for Western foods. The deal comes two years after Universal Robina acquired New Zealand's largest snacks maker, Griffin's Foods, from private equity firm Pacific Equity Partners for $645 million. With annual sales of $303 million and earnings of almost $60 million, Snack Brands accounts for close to 30 per cent of the salty snacks market and is the second largest player after Frito-Lay, which owns The Smith's Snack food Company and Red Rock Deli. Universal Robina said the purchase price of $600 million recognized the growth potential of Snack Brands in Australia and overseas. It intends to leverage Snack Brands' manufacturing capacity and its own distribution system to expand in Asia, while maintaining the Sydney-based business as an independent operation. The acquisition is subject to approval by the Foreign Investment Review Board. Snack Brands Australia chief executive Paul Musgrave said the acquisition was positive for the business and its staff. "What this achieves for the business is to take Australian manufactured product, with its distinct food security advantage, into Asian markets with the benefit of an established distribution force," Mr Musgrave said. "It means there are no intended job losses but instead a stronger growth path with a new partner and the prospects of adding new URC product categories from New Zealand to our local markets. It is also expected to be a positive for many of Snack Brands suppliers such as potato and corn growers," Mr Musgrave said. A consortium of investors led by Mr. Musgrave acquired Snack Brands Australia in 2008 for a fraction of the price paid by biscuit maker Arnott's six years earlier. In 2002, Arnott's made a $280 million takeover offer for the listed chip maker, which had sales around $280 million and was 32 per cent-owned by Thorney Investments, an investment company owned by Alex Waislitz, Richard Pratt's then son-in law. But Arnott's struggled to make suitable returns from the snacks business and its US parent, Campbell Soup Co, eventually pulled the plug, hiring UBS to find a buyer. Arnott's asking price at the time was said to be $30 million. Snack Brands is the latest in a long line of Australian food manufacturers to be snapped up by Asian investors. In April last year, Philippines food company Monde Nissin acquired family-owned dip and cracker company Menora Foods for about $55 million, a month after buying Nudie Juices for about $80 million and less than a year after outlaying $115 million for dip maker Black Swan. Four years ago Chinese food company Bright Foods paid $500 million for Manassen Foods, while Singaporean oils and sugar company Wilmar International and Hong Kong investment company First Pacific paid $1.3 billion for Goodman Fielder in 2014. 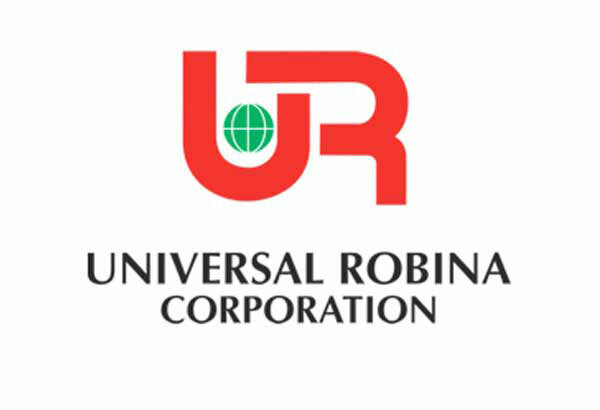 Universal Robina is one of the largest food and beverage companies in south-east Asia, with annual sales around 109 billion pesos or $A3 billion and operations in the Philippines, Vietnam, Thailand, Indonesia, Malaysia, Singapore, Hong Kong and China. Snack Brands was advised by former UBS banker Quentin Miller's Intrinsic Partners and law firm King & Wood Mallesons.